I once heard comedian Demetri Martin say that he didn’t like filling out “thank you” cards because he never knew what to write on them. When the outside pretty much covers everything, what else is there to say? “See front?” he deadpanned. It’s true that most of our “thank you’s” are by rote. We tend only to offer thanks when etiquette absolutely demands it. When people win awards, they thank everyone who helped them to be recognized. When a CEO is about to deliver a mind-numbing speech, he or she thanks everyone for being there. But each year as November arrives and Thanksgiving approaches we are reminded to take time out and show gratitude for the good things in our lives. It’s a shame more of us don’t get around to showing this type of appreciation before the year is nearly behind us. With so many of us living fast-paced lives, it’s nice to be able to take a step back and take inventory of what’s right. With the holiday season nearing, we should all take the time to reflect on how fortunate we are. Here in South Jersey, from our neighbors and community leaders to the natural beauty and vibrant culture, there’s plenty to be thankful for. It’s the foundation that makes our area such a great place to live, work and play. When each issue comes out, I make it a point to get feedback from our loyal readers and advertisers. And, while everyone has an opinion on what could improve the magazine—by the way, thanks for that!—the feedback is always overwhelmingly positive. 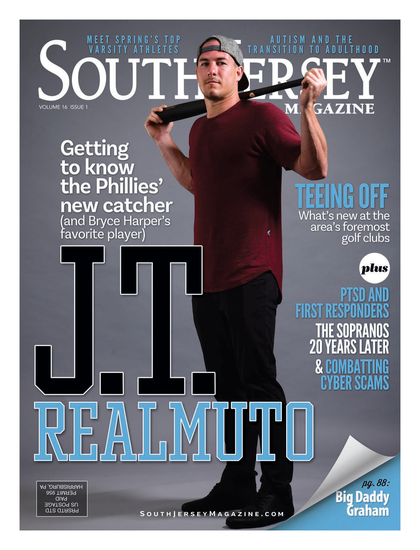 People love South Jersey Magazine, but more importantly they love South Jersey. By covering the area in a way that is unmatched, we use our shared connection with, and gratitude for, this region to connect with our audience. We are thrilled to be South Jersey’s premier publication, and we’re working hard to make each issue even better than the last.